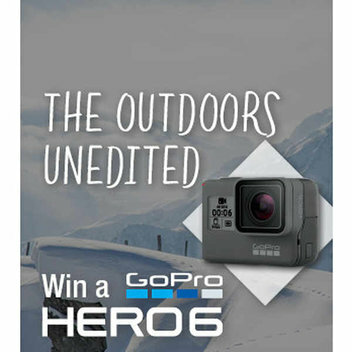 Win a GoPro HERO6 Bundle | FreebieFinder UK | Freebies, Samples, & Other Free Stuff. Ellis Brigham has launched an awesome competition where we have the chance to win a GoPro HERO6 bundle. They have two up for grabs in this competition, and the bundle is composed of the camera as well as its accessories. Enter this competition by following the instructions posted on the Ellis Brigham website.